As of this writing, the goal of the film AVATAR, to gross the 2 billion dollar mark is completely feasible; obviously it’s a smash hit with an extreme likelihood for a sequel, to which James Cameron seems agreeable. I’d been hearing very good things about the movie, and when some from my church gave their ‘thumb’s up’ with no small amount of enthusiasm, I decided, being an avid fan of science fiction/fantasy, to go see it myself. On the surface, the story of Avatar was very similar to other stories with the same thematic content. The outsider encounters the natives of the land, (sometimes) initially opposing them, but later becoming amicable to their culture, and eventually adopting it and them as their own. We saw it in Dances with Wolves, we also saw it in The Last Samurai and several other films. The theme was successfully achieved in Avatar no less than these others, but what made this film stand apart was the beautifully alien aspects of the film: never before was I so awe-struck with the visual imagery of a film, not since the New Line Cinema cash cow of The LORD of the RINGS. I chose not to see the film in 3-D (those glasses for some reason gives me a headache), but nevertheless, it had a profound impact on me. The vision of the film was quite literally like nothing I had seen previously. I, along with the spell bound audience witnessed flora and forests filled with fantastic plants, and trees both exotic and luminescent in vivid colors that were eye popping. Animals were both wondrous and terrifying to behold. The land, the ‘floating mountains’ and the whole world that is Pandora made me feel (along with the rest of the audience) like this was a place I wish I could visit. In today’s hectic world in the midst of our concrete jungles, and demanding schedules, it’s no small wonder why we yearn for escape into a natural habitat where pollution, traffic, noise, overtime, deadlines, and modern hassles of every day life can’t touch us with their stress-inspiring influences. This is the world that the main character, Jake Sully encounters, but not all is kind in paradise. There are dangers galore as well as mysteries on that alien world. In the future, Jake, a paraplegic war veteran, is brought to another planet, Pandora, which is inhabited by the Na'vi, a humanoid race with their own language and culture. Those from Earth find themselves at odds with each other and the local culture. During the course of the film, I became emotionally identified with the Na’vi and their plight as victims of the overpowering human forces of military might that would take what they wanted, regardless of the needs of the natives or their right to live as they would. Comparing the simple, natural culture of the wonderful Na’vi with their respect for the land, and the animal life with the jaded, calloused, imperialistic humans who had no such regard, but were intent on mining a precious ore at any cost for huge profits, it wasn’t at all difficult separating the good guys from the bad guys. Even Jake at the beginning saw his own infiltration into the Na’vi culture by way of his ‘avatar’ (an artificially produced hybrid of Na’vi and human genetic material to be inhabited psychically via high-tech gadgetry, by the human host [Jake Sully in this case] that can function just like the natives of the planet, breathing their air, eating their foods, adapting to the culture as one of their own) as “just another mission”, albeit the success of which would guarantee him a medical procedure that would give him back the use of his legs. Greed and avarice for the precious ore, the mining of which would ruin the Na’vi race; the injustice of man upon man – Jake Sully, a war veteran, should have been afforded the procedure that would grant him the use of his legs due to his loyal service to his people, but instead won’t get the operation until he performs yet another task for the industrial giant corporation commissioned to mine Pandora; the cold indifference with which the military views the natives, which had also led to the ruin of planet Earth (it’s mentioned in passing that the planet’s eco-system was all but destroyed) reveals that mankind (even 150 years into the future!) hasn’t changed at all. In the end, the story ends well, but with an ominous overtone that it’s far from over; the belligerent humans are escorted off the planet, but one gets the definite impression that they’ll be back with even greater forces and strip the land bare in order to get what they want! As you can probably guess by now, I thoroughly enjoyed the film as a story. Being a science fiction nut, I relished all the different aspects of the film, most especially the scenery and the CGI effects but also the love story between ‘Jake-sully’ (pronounced as one name by the natives) and Neytiri, daughter of the Na’vi chief of the tribe. So, no one can accuse me of bashing the film because I just didn’t like it! One might get that impression based on what I will now share as a Christian, coming from the world view that adheres to the Bible and biblical truth. Why even discuss ‘biblical truth’ in connection with a fantasy film, a fictional story? Simply because any story, even a fictional one presents ideas, and that’s where beliefs develop. There are times when we let emotions and emotional attachments lower our guard as it were, and subtle ideas can influence what we believe. One single movie isn’t going to alter our world view, but it can surely influence our thinking so that we become more open to ideas that we otherwise wouldn’t entertain. So, with no small amount of emotional detachment I will now examine the different ideas presented in AVATAR and the world of Pandora, along with the spiritual dogma they convey. The entire world of Pandora revolves around the central spirituality that is “Eywa” – the goddess Spirit that indwells all living things on the planet; essentially Eywa is the planet. This is called pantheism - a doctrine that equates God with the forces and laws of the universe. The idea that the Deity of Pandora is feminine is in line with various religions, but this idea, in conjunction with a goddess that is basically ‘one with nature’ is thoroughly Wiccan (witchcraft) in concept. Can’t the God that we as Christians know, possess a female persona? No, simply because the nature of the feminine is to birth new life from itself, thus if the idea of a Goddess Creator were true, then She would create out of herself, and the universe would be an integral part of her. The Bible teaches that God created Adam in His image, and it’s the male that provides the seed, which will initiate life, but that life is not something integral to himself; likewise God is transcendent from His creation – it’s not a part of Him. Pantheism teaches that all of nature is a part of God/Goddess in essence, but if this is believed, then such a goddess is indiscriminate in her interactions with her creation-tornados, earthquakes, storms, and other acts of nature randomly kill off portions of her population regardless of who and what they are, whether they are ‘good pantheists’, dutiful caretakers of ‘Mother Earth’ or rabid industrialists bent on profits and personal gratification. Certainly diseases born on Earth victimize the new born, children, adults and the elderly with no sense of rhyme or reason. The Na’vi are a people steeped in the worship of nature, and utilize their ‘magic’ based on power emanating from Eywa, and this is shamanism, much like that of the native American religion. Possessing ‘strong medicine’ means using natural hallucinogens to acquire visions or obtaining knowledge not readily available through the five senses. On Pandora, the Na’vi don’t use strong medicine, but rather have an open neural network capacity that derives from their spinal column and into their tails (yes, Na’vi have tails!). The tail of the Na’vi have filaments that intermesh with the same sort of filaments on other life forms (such as the flying dragons portrayed in the film, other animal life, and even the sacred Tree through which Eywa appears to communicate – we saw this when 'Jake-sully' attempted to communicate through his avatar with Eywa and warn Her about the imminent attack by the human military). It’s interesting to note that in Eastern religions, inner harmony with Brahma (the ‘All’ of creation) as well as communication with the spiritual realm occurs when one aligns their charkas in order to become receptive to the influences of spirits and spiritual beings; these charkas are located where? – yup, you guessed it! Along the length of our spinal column (and no doubt our tails as well if we had any!). This suggests that all living things are in some way sentient, that they are self aware, possess spirits and in some fundamental way, equal to but different than mankind. The very Native American practice of “thanking” the prey (a deer or buffalo, etc) for willingly sacrificing itself and allowing itself to be slain ‘for the good of the tribe’ was featured in this film. Here is the idea that all in nature are brothers: that just as the buffalo lays down its life to feed the tribe, members of the tribe will one day lay down their lives, be buried in the Earth, which will decompose and feed the grass, which will in turn feed the buffalo, which will again sacrifice itself to feed the tribe, etc. etc. This is known as the Circle of Life and is prominent in the philosophies of many Nature-worship religions. While Pandora has its goddess, Wicca (and all pagan religions) has hers as well, known as Gaia: different name, same deal. A Feminine deity that incorporates nature as part of Herself. This is why the Environmentalist Movement is so heavily endorsed by witches of all types and breeds, and also by the U.N. and of course such esoteric organizations as the Theosophical Society and Lucis Trust which permeates so many organizations and influences our societal awareness (we are currently posting articles regarding these organizations under our ongoing series ‘T.T.U.F. Profiles'). It’s all a part of harmonizing the world into a unified, global government and religion that will honor Mother Nature/Gaia. 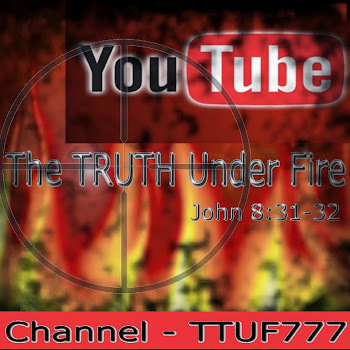 “In the Futurechurch (sic) there will arise an imitation of Christ Jesus and His bride, the church . . .” which is Lucifer who will inhabit the anti-Christ, and will demand the worship of every one on the planet, and his own bride, Gaia – Mother of us all! Please don’t take me wrong; I’m not suggesting that the director/writer James Cameron is necessarily out to convert us all to a global consciousness and alter our world view to become more pagan and adhere less firmly to a stubbornly persistent Judeo-Christian ethic, but nevertheless the subject matter and content of this film has the propensity to play on our emotions and admonish us to take a look to our own goddess-world and see how she herself is being stripped naked, abused, ransacked for the sake of corporate profit. I won’t deny that as Christians we ought to be concerned about being good stewards of our planet; I’m always picking up trash and disposing of it properly, careful to recycle, and use resources wisely. This doesn’t mean I worship nature. This doesn’t mean I find no fault with such corporate greed as well. Yet the powers that be, have an intended goal of shifting our thinking into such a pantheistic view, as sympathetically portrayed in this film, for their own agenda; ultimately that agenda will result in the scenario described above. It’s sadly intriguing that the church is being swept up into the Emergent Movement and called upon to focus our affection and attention on the Earth, to clean her up: ecologically, socially, economically, etc. and this too will tailor the undiscerning Christian into shifting their priorities from the Kingdom of Heaven to a worldly kingdom preparing for the arrival of their ‘World Teacher’ a.k.a. the anti-Christ. As I said, this film all on its own isn’t about to transform us all into a bunch of tree-hugging, New Age globalists, but it is another brick in the building of the structure of a philosophical Tower of Babel where paganism is paramount. Christians should be aware of the underlying message this film delivers, and if parents allow their children to go see it, this could be used as an opportunity to educate them on the beliefs of Wicca, Earth religions, New Age dogma and how these are diametrically (and diabolically) different than what we have been delivered by our Deity, our heavenly FATHER Who reigns in Heaven for all eternity. Also in considering the appearance of the Na’vi, they are very tall, and blue skinned. How is this relevant? 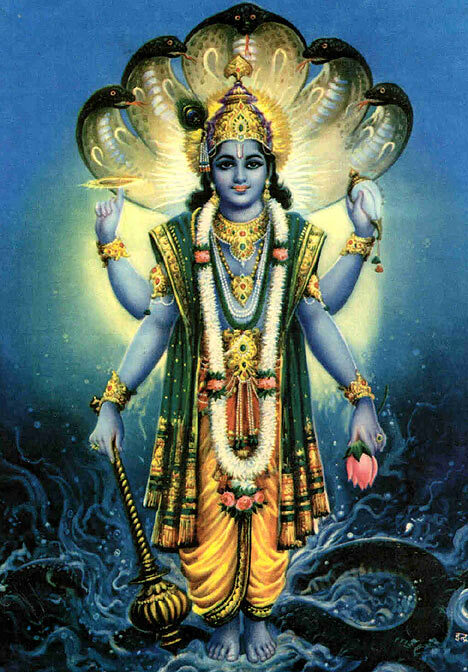 Think about the Hindu deities, among them, the god Vishnu, who is seen as the preserver of the Universe. Certainly the Na’vi are likewise intent on preserving their habitat, unlike the human military machine who want to destroy it in favor of profitable monetary gain. Both Vishnu and the Na’vi are seen as ‘Preservers’ in that sense. UPDATE (As of 2-28-10)This just in! The Berean Call's newsletter for the month of March has some very interesting insights and commentary on AVATAR! 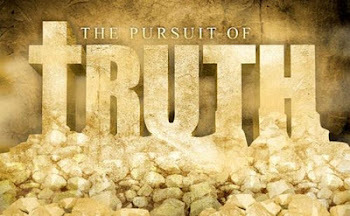 May the TRUTH of our GOD in His Word guide our steps in avoiding deception and seduction in all its forms, in these last days. Appreciation to my father who shared with me regarding this weblog, this webpage is really awesome.